When we started, we did not want to be known just as another vendor or supplier and rather as a business partner and solutions provider who is interested in understanding correctly the end user requirement and offer a techno- economical value engineered right solution. In this, we have a selfish interest too! – Only in the customers well-being we can survive. Water and waste water treatment is important. But more important is how efficiently water and waste water is being treated. The right question to ask is “What is the True Cost of Water? Water and waste water treatment is often taken for granted and technology, quality, performance, monitoring, operation and maintenance is ignored resulting in poor performance, repeated failures, high power consumption, high chemical cost, high maintenance and cleaning cost, wastage of water etc. Most of the time the management is not aware their pot is full of holes and their money is leaking like water! Unfortunately the management does not understand their profitability depends on efficient manufacturing operations and does not ask questions as to how efficient and sustainable their manufacturing process is. With the ever increasing scarcity of water and stringent waste water discharge norms, many of us consider this as a serious problem and not as a good opportunity to clean up our act! Most of us talk about 3R’s - “Reduce, Recycle and Reuse” but do not know how and where to reduce, how and what to recycle and how and where to reuse! To get a solution to the above, isolated approaches does not help. What one has to adopt is an integrated step by step approach. Many a times we have seen non availability of water and waste water treatment disposable problems hampering the industrial operation including a threat of closure and hurdle for expansion. Non availability of potable water will lead to migration of human population as well as affect agriculture and industrial growth! If water is available it may be available at considerable cost and of poor quality requiring expensive and complicated treatment. Water is a utility like electricity and fuel, the more efficiently it is used, the more money is saved. To mitigate the problem of water scarcity IONIC offers innovative solutions with which industries can reduce their “Water Foot print”. Mission – To Treat Water "Differently"
IONIC will be a performance oriented and customer centric company to present globally. Increasing our footprint and market share Year On Year (YOY) in the markets we operate. Be one of the best solutions provider with innovative solutions which will be different, stimulating and productive, and one that can significantly reduce technical risks and costs, ensuring maximum returns to our customers and shareholders. 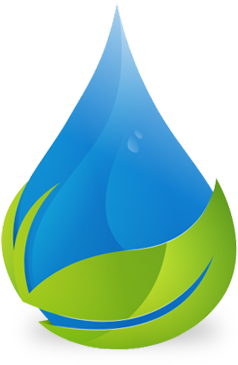 To Supply and implement solutions which meets and exceeds the needs and expectations of our clients by continuously providing them the solutions to reduce their water foot print and life cycle cost of water and waste water treatment by research and development(R&D) on new processes, technologies and products. To help customer understand the True Cost of Water and help them take an informed decision to reach their sustainable goals.